The beauty of the West Lake lies in a lingering charm that survives the change of seasons in a year, of hours in a day, and of different weathers. Ancient people praised the lake as a “home of hundreds of tourist sites where you get intoxicated all the time”. 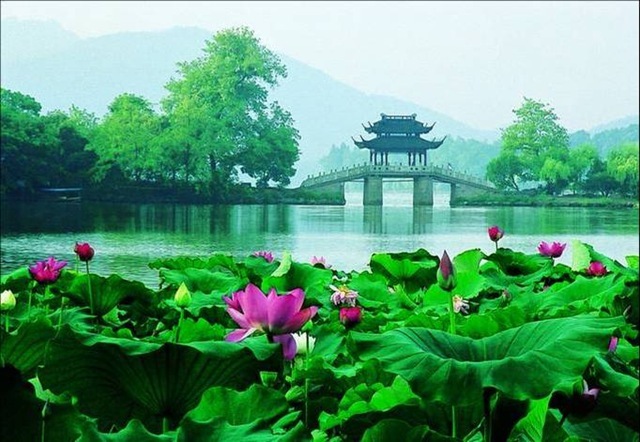 To demonstrate its beauty, the lake offers 10 most famous scenes as Spring Dawn at Su Causeway, Melting Snow at Broken Bridge, Sunset Glow over Leifeng Hill, Lotus in the Breeze at Crooked Courtyard, Autumn Moon on Calm Lake, Listening to Orioles Singing in the Willows, Viewing Fish at Flowers Pond, Evening Bell at Nanping Hill, Three Pools Mirroring the Moon, Twin Peaks Piercing the Clouds. No wonder the Song Dynasty poet Su Shi compared the Lake to Xizi, a Chinese Cleopatra: “Ripping water shimmering on sunny day, Misty mountains wonder in the rain, Plain or gaily decked out like Xizi, the West Lake is always alluring”. 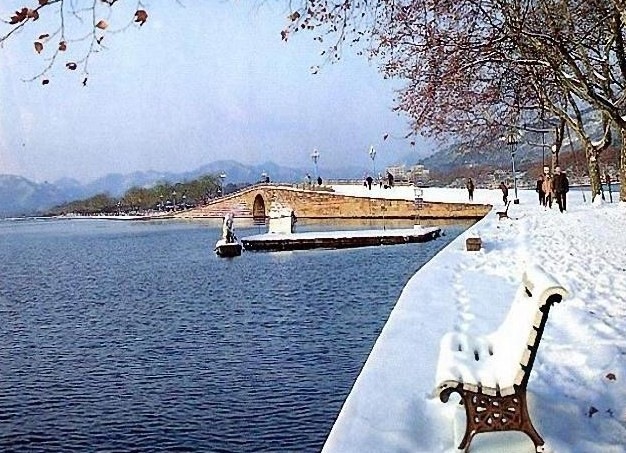 So the lake is also known as Xizi Lake. The West Lake landscape is an exceptional testimony to the very specific cultural tradition of improving landscapes to create a series of ‘pictures’ that reflect what was seen as a perfect fusion between people and nature, a tradition that evolved in the Tang and Song Dynasties and has continued its relevance to the present day. The ‘improved’ West Lake, with its exceptional array of man-made causeways, islands, bridges, gardens, pagodas and temples, against a backdrop of the wooded hills, can be seen as an entity that manifests this tradition in an outstanding way. The West Lake is a like a shining pearl inlaid on the vast land of China, reputed for beautiful scenery, a multitude of historical sites, brilliant cultural relics, and a profusion of native products. Legend has it that the West Lake was a heavenly jewel fallen to earth. Pragmatists insist that it is a mere lagoon on Hangzhou’s western fringe. In any case, West Lake has inspired painters for centuries. 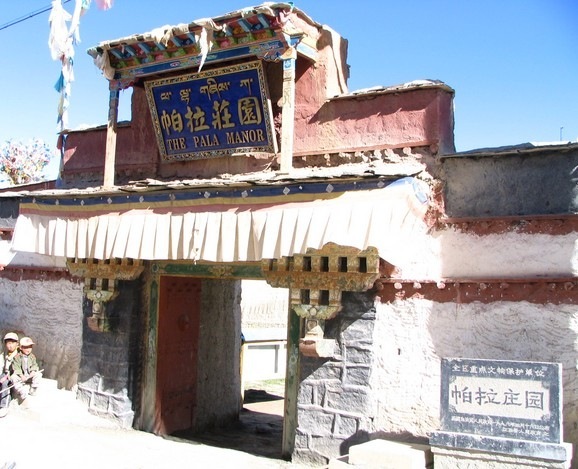 Barkhor is the road which pilgrims tramped out around Jokhang Temple through centuries. Buddhist pilgrims walk or progress by body-lengths along the street clockwise every day into deep night. They comprise most of Lhasa‘s floating population. Careful visitors may find there are 4 columns, on which colorful scripture streamers are hung flying over the street. All pilgrims walk outside of them to show respect. The custom started in Tubo period (633- 877). Over time side streets, lanes and alleys were added and the Barkhor Square. Today the pilgrims are still circumambulating the temple and the surrounding area has become a major tourist destination. 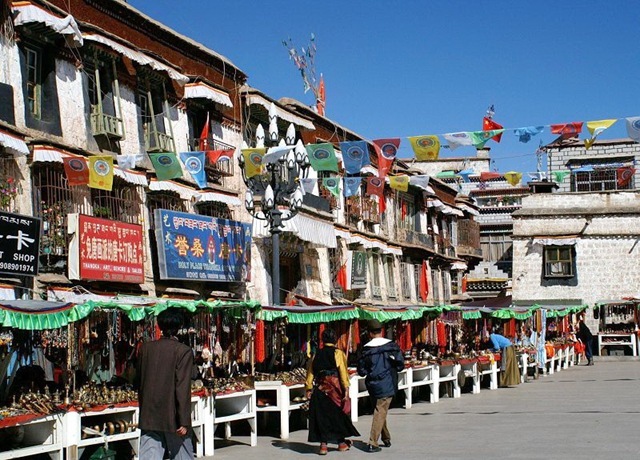 This is the best place to see Lhasa’s traditional Tibetan architecture and the streets are lined by small shops selling Tibetan souvenirs such as prayer wheels, the tradition Tibetan long-sleeve ‘chuba’, Tibetan knives, jade jewellery, Buddhist statues and other religious artefacts. It is also the place to find ‘Thangka’ or Tibetan scroll paintings with themes of religion, history, literature, etc. 1. You should walk in a clockwise direction along the street. 2. It is better not stay too late there. Because there are many lanes there, it’s easy to lose your way in the evening. 3. Different vendors may sell the same thing at different price. So you’d better ask several vendors and get more information of the articles. Of course, you should also know how to bargain with them. 4. According to the tradition of Tibet, the vendor will give a favorable price to the first customer and the last one in a day. 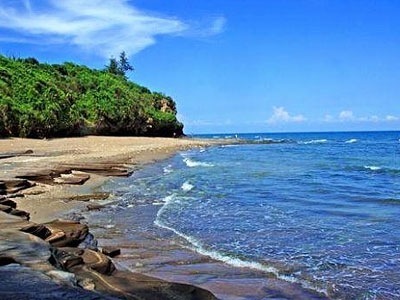 Nan Ao Island is located between the coastlines of Fujian, Guangdong and Taiwan Provinces. The area is composed of the main island and then another 22 smaller surrounding islands, all covering an area of approximately 130 square kilometers (32,000 acres). Nan Ao Island has much to offer tourists: blue skies, white waves, sandy beaches, beautiful mountain scenery, historic temples and parks rich in wildlife. Huanghua Mountain is comprised of all the mountains in the west of Nan Ao Island. Without too many disturbances from the outside world, the ecological environment there is quite good for the growth of plants and animals. Now, it is a National Forest Park home to thousands of tropical and subtropical plants as well as approximately forty kinds of national protected wild animals. The rugged strange stones lying here and there in the forest add more primitive interest to the wonder of the park while the cliff carvings showing the art of Chinese calligraphy endow the park with more cultural flavor. Another of Nan Ao Islands’ most famous sites are the Song Wells. 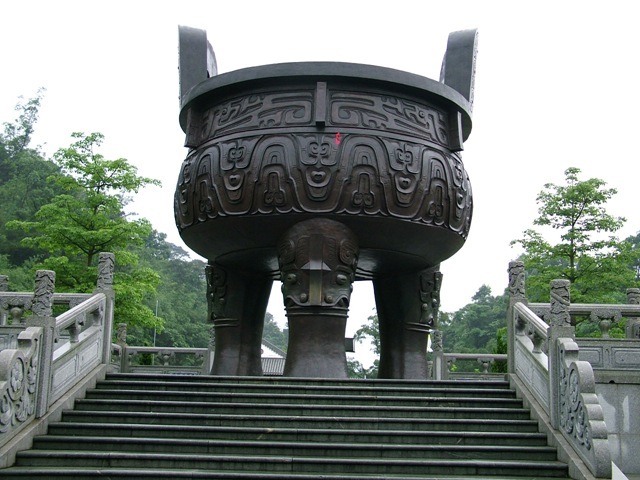 There are three Song Wells in total; the Dragon Well, the Tiger Well and the Horse Well. Historically, these were used to provide emperors, ministers, soldiers and their horses with drinking water. However, today the wells have begun to sink into the sand on the seashore, although the water from the wells still remains fresh. It is really amazing. Nan Ao Island’s mountains are commonly praised as ‘pearls above the sea’. The mountain area contains many kinds of botanical plants, which can be found at the National Forest Park of Huanghua Mountain. In the park, visitors are surrounded by the most stunning natural scenery: beautiful flowers, singing birds and awe-inspiring views. So it got another name of ‘Natural Arboretum at Sea in Southern China’. The nearby Bullion Island is also worth a visit, with highlights including a winding, nine-bend bridge and a historical stone-carved statue which is said to guard the bullion and treasure on the island. Maoming is a famous litchi production base in China. 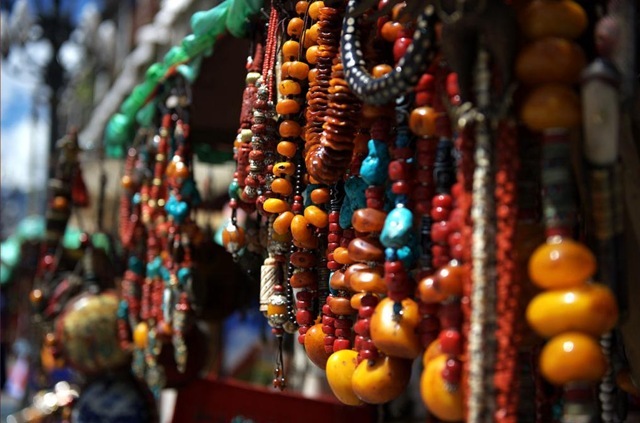 The Genzi Litchi Cultural Tourist Area is situated in Genzi, a small town in Maoming. Fang Ji Island, also know as Chicken Island, is the largest island in the city. 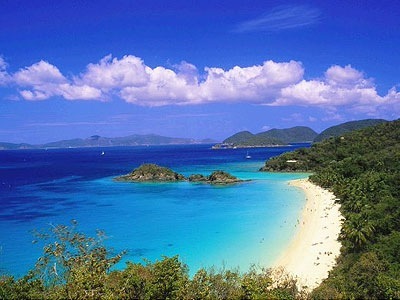 It covers an area of 1.9 sq km and has clear sea waters, beautiful coral reefs and scuba diving. The delicious local foods are also worth recommending. Huazhou Baiqie Chicken, Genzi Beef Rice Noodle and Xinyi Huaixiang Chicken are the most popular local dishes in the city. Show the chicken island and lie in 21.23 degrees of north latitudes, the east passes 111.00 degrees, lie the south ocean of Dianbai county sideways, possession rich to congratulate the intersection of harbour and the intersection of mouth and the southwest, from rich to congratulate, go the intersection of island and 8 of quay, it is the intersection of Guangdong and east that lead to Zhanjiang, island that Beibu Bay must pass, the top of highest peak on the island shines from 15 sea miles of solar energy beacons, guide the vessel to sail safely. Enjoying a subtropical monsoon season, the local weather is moderate with an annual average temperature of no less than 22℃ (72℉). It is a green city all the year round. The rainfall of a year lies between 1530-1770 millimeters (60-70 inches). Namjagbarwa Peak is the highest mountain in Nyingchi Prefecture, Tibet. It ranks 16th among the highest mountains above the sea level with an elevation of 7782 meters. The most mysterious thing is that at each end of the Himalayas two peaks stand on the mysterious tectonic knots: at the eastern end stands Namjagbarwa (7,782 meters), the world’s 15th highest peak, and at the western end Nanga Parbat (8,125 meters), the world’s ninth highest peak. Namcha Barwa is in an isolated part of southeastern Tibet rarely visited by outsiders. It stands inside the Great Bend of the Yarlung Tsangpo River as the river enters its notable gorge across the Himalaya, emerging as the Dihang and becoming the Brahmaputra. Namcha Barwa’s sister peak Gyala Peri 7,294 metres rises across the gorge 22 km to the NNW. 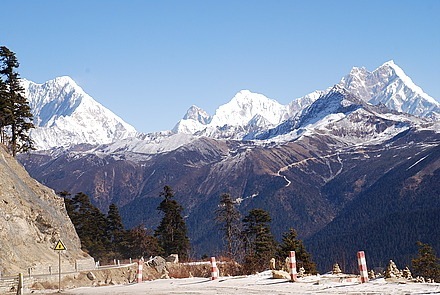 In Tibetan, Namjagbarwa means a “long lance piercing into the sky.” The sky-scraping Namjagbarwa Peak, with its majestic appearance, precipitous shape and unpredictable climate, has been an ambitious aim of mountain-climbing organizations from various countries, and was only conquered recently by a Sino-Japanese climbing team in 1992. 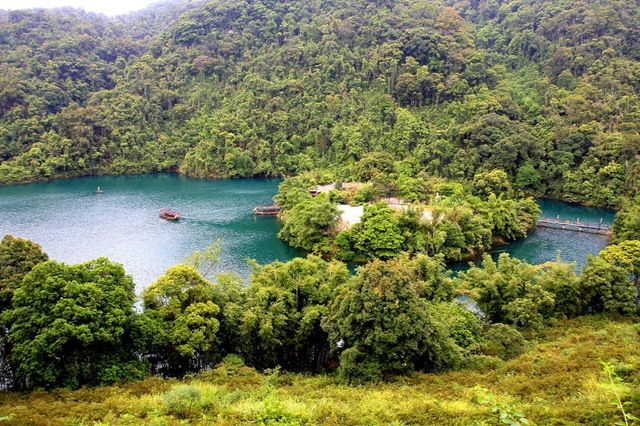 Dinghu Mountain is known as the living nature museum and a green treasure house in the north tropic. It is one of the four famous mountains in Guangdong Province as well as the Danxia Mountain, Xiqiao Mountain and Luofu Mountain. The mountain is located in Dinghu District, 18 Kilometers to Zhaoqing City, in the Dayunwu Mountain Range.The mountain originally called The Top Lake Mountain acquiring as a lake on the top of the mountain. Later a folk story said that the Yellow Emperor was succeeded in defeating Chi You and founded a tripod, so people changed the name to Dinghu Mountain to memory the Yellow Emperor. There are countless very impressive Scenic Spot. It must be pointed out that the water in Mountain Dinghu is very beautiful. Besides the rich plant and animal species, the deep and serene gorges, cold and clean waters and the scenic areas also make the Dinghu Mountain well-known to home and abroad. Heavenly Brook-Qingyun Scenic Area includes the Hundred Buddha Cave, green trees surrounded by clouds, flying waterfalls of the Dragon Pond, Double Rainbows and so on. 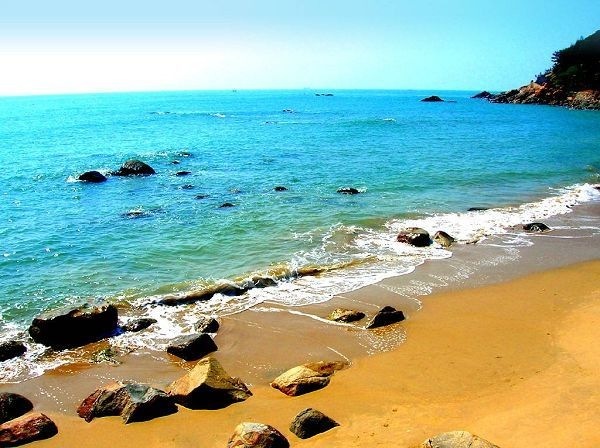 The Dinghu-Tianhu Scenic Area features the Black Dragon Playing Pearls, Dragon Mother Borrowing a Vessel, Exploring the Heavenly Lake, and so on; and Yunxi-Laoding Scenic Area has the traces of bottle gourds, Water Curtain Cave, Dragon Hidden in the Ancient Pond, White Clouds Embracing Ancient Trees, etc. Pala Manor is ten minutes driving from Gyangtse. 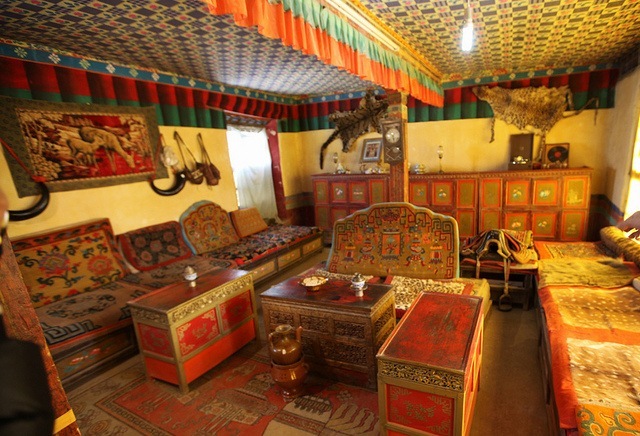 As the best-preserved manor in Tibet, Pala will show you the lifestyle of wealthy landed family who once lived here. The former owner was a Bhutanese chief moved to Tibet with his family where in due course he became a local official. At the time of the Tibet Democratic Reform in 1959 he left Tibet along with the Dalai Lama to live in exile. The Pala Manor we see today still has 57 houses on an estate of 5000 square metres. The maze of rooms is richly decorated with exquisitely carved beams and painted rafters. The Pala Manor we see today still has fifty-seven houses on an estate with an area of approximately 5000 square metres (1.24 acres). The main building is a three-storey structure that includes a scripture hall, reception hall, and bedrooms. In addition to the lobby used for playing the Chinese game of Majiang there are many other reception halls. The maze of rooms is richly decorated with exquisitely carved beams and painted rafters. One will be genuinely amazed by what can beThe house in Pala Manor seen on display here, for many of the original contents of the reception rooms and bedrooms remain on show. Among the items there are an ox horn that would be filled with Qingke (a highland barley wine), fine porcelain bowls for containing ghee, an ivory Majiang set as well as precious fur clothes, glass cups, tins of biscuits and whiskey imported from Britain. The sun-room walls are hung with tiger and deer skins and further evidence of the wealth of the former owner are such things as a gold saddle and two gramophones that were manufactured in Great Britain. The other recreation rooms include a modern gymnasium with facilities for table tennis, badminton and other physical training equipment including ice-skates.